Today is the final day of the Christmas of Dreams Blog Party! 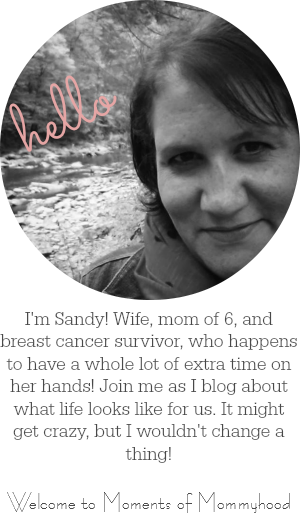 I have really met a lot of wonderful bloggers and I am thankful for that. Sponsors: Day Twelve Blog Party Question is Brought to you by Georgie Tees and Mutsy. I’m Thankful this Year because…. Well, that's easy! I'm thankful this year because I have a wonderful family. My hubby, Mike is a wonderful dad, and husband. He works really hard to provide for us and we are all thankful for him! I have five wonderful kids. They are my life! I appreciate every single day and I am so blessed to be alive! Happy Thanksgiving Everyone! What are you most thankful for? Oh yes, Family is at the tip top on my Thankful list! Family is at the top of my list too, nothing could be more important. Happy Thanksgiving! We are all blessed! Happy Thanksgiving! Family was at the top of my list too. Happy Thanksgiving! My kids are my life too. Good daddy's are definitely something to be thankful for! I need to get in teh habit of telling him more often! Happy Thanksgiving to you, my friend!!! I'm thankful for finding this blog! Happy Thanksgiving I look forward to a great friendship! What a great post! Wow . . . 5 children!! I bow down to you.